In fact it was the Norwegian championship. Looking forward to Tour De France, Saturday July 3rd to Sunday July 25th. Moving - Why don't take the house with you? The work on what is called the new road E6 east is well in progress. A new tunnel from "Solsiden" to Strindheim is being built. Because of soft ground on the city side, a concrete tunnel has to be used. In order to accomplish this, some houses has to be out of the way. And to much pleasure for one who is raised in the area, the option of moving them temporarily. has been chosen. 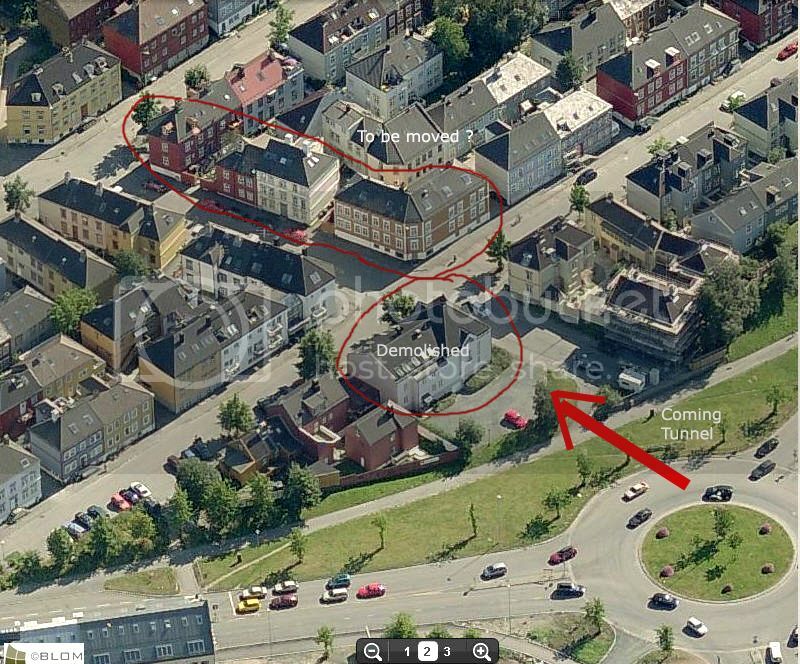 Møllenberg wouldn't have been the same with modern 5-6 story "blocks" in their place. For locals, right here the residential area of Lademoen meets Møllenberg. And for primary school children, much rivalry as to which of the schools "Bispehaugen" and "Lademoen" was best. Where will they move the houses to??? Very interesting!!!!! Thanks for your interest Ehp ! 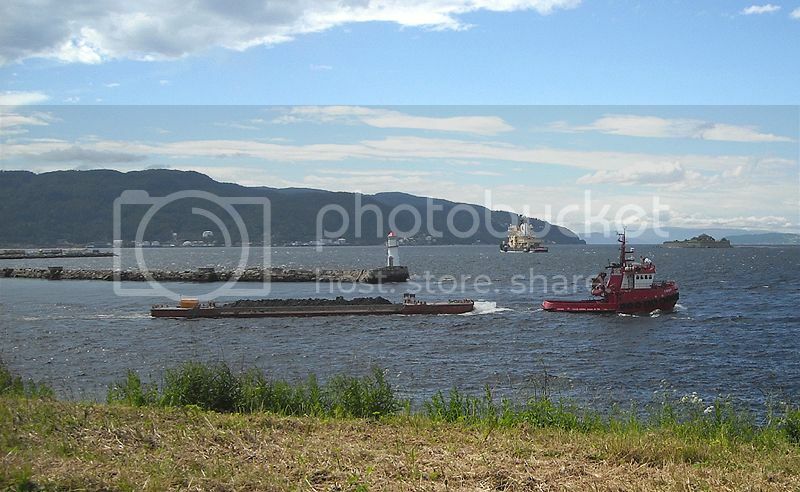 Have some pictures from the site, but seems like photobucket has gone into: who know's where. Gamle Kongevei - Old Kings road ? Spectators gather for the event. The data program used for calculation of width/breadth/ weight was in English/American. The translation into the proper Metres/centimeteres/kilos was somewhat off correct. Why can't you people get into the modern life? Ehhhh - A new kitchen - and maybe some new livingroom furniture! 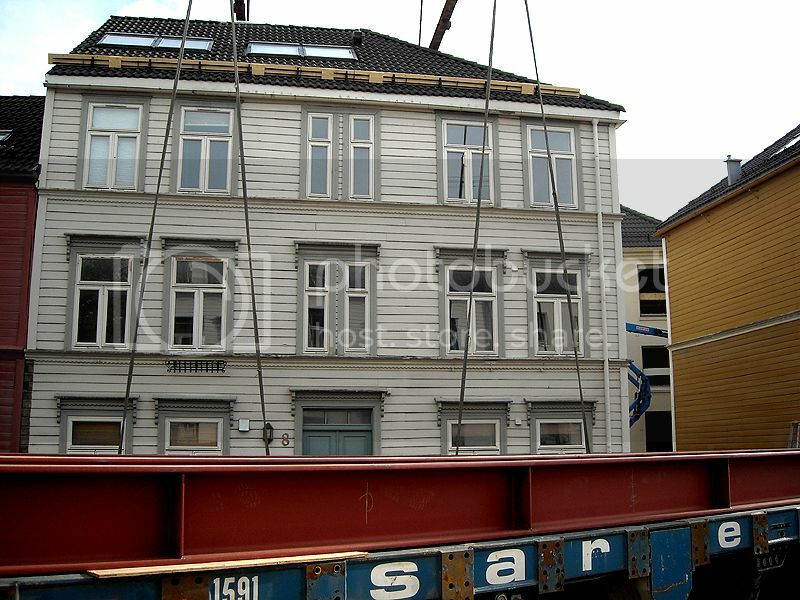 The first attempt at moving this house failed. The weight was calculated at 85 metric tons, but was incorrect. 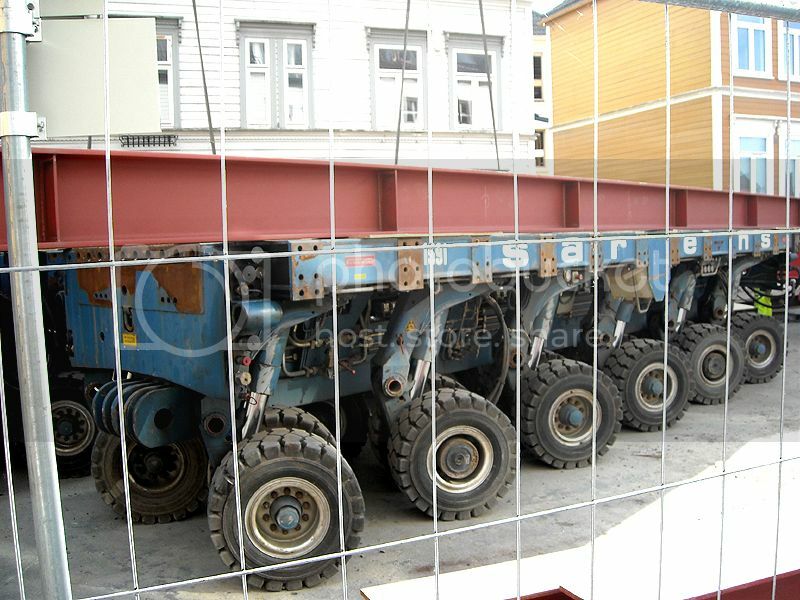 New estimate is 130 tons. 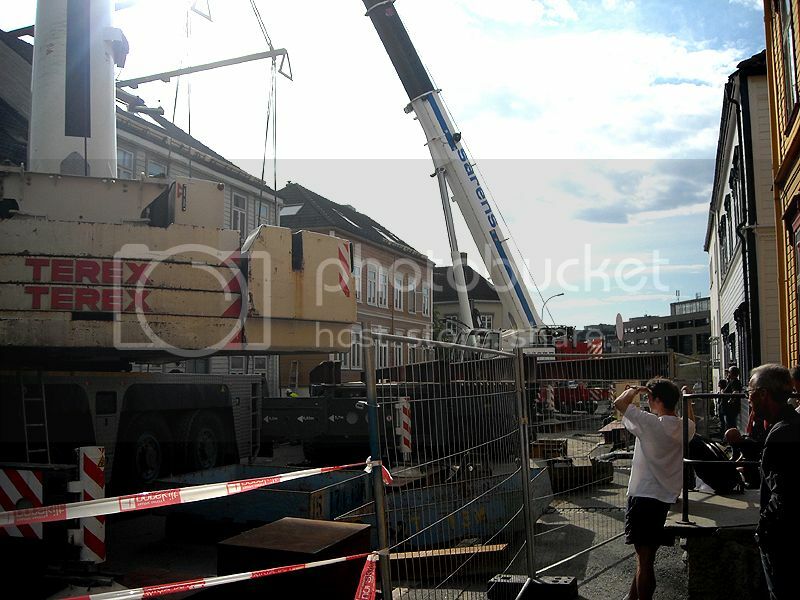 So - another larger crane has to be brought here. 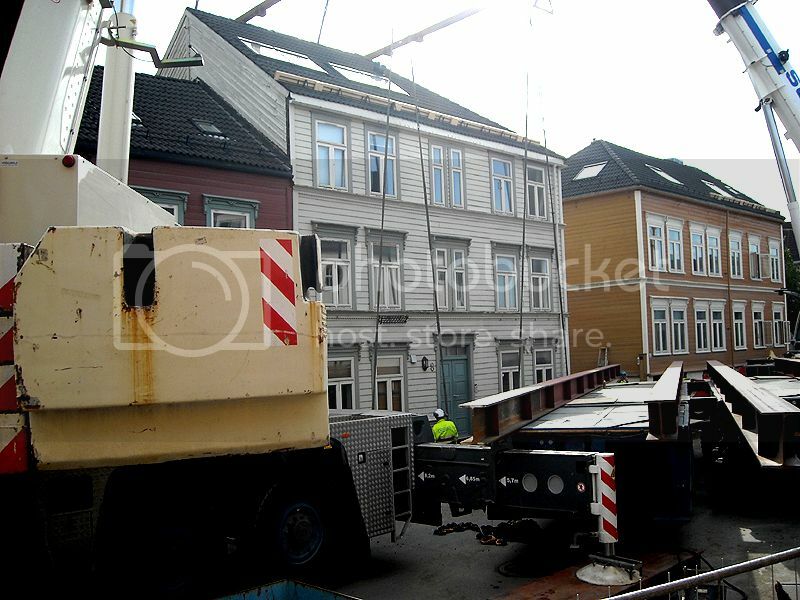 From "Sterkoder's" city of Kristiansund, media reports. 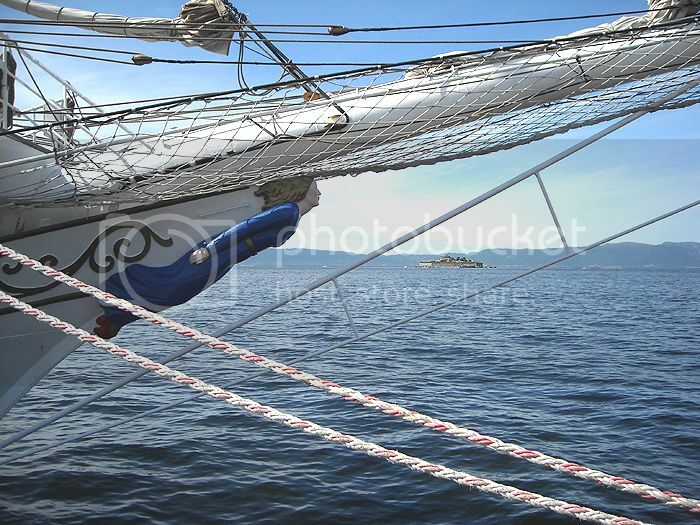 This weekend, the full-rigged sailing vessel "Christian Radich" visits Trondheim. Didn't see any updates on the housemoving...or the moose...but did notice that there is a beer rafting parade down the Nidelva this afternoon....sounds like fun! The Captain would be apoplectic if he knew everything of interest he is missing whilst on Hell Week.....House moving, raft races, tall ships...his camera would be smoking hot!!!!! 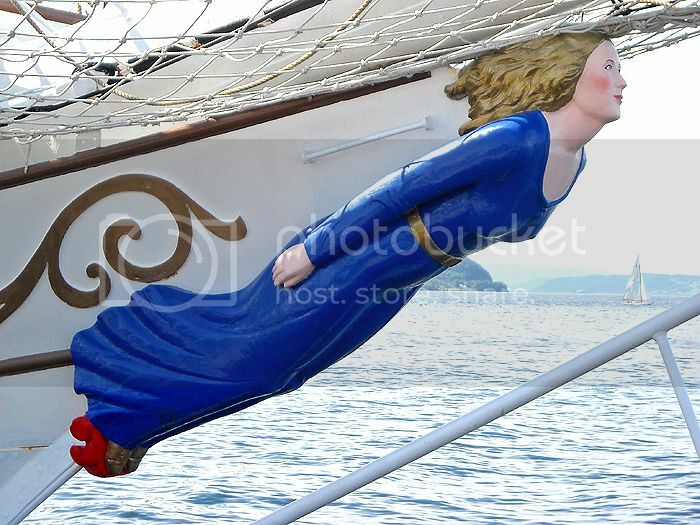 PS: Check out the Sailship thread for more images of the beautiful Norwegian sailboat! 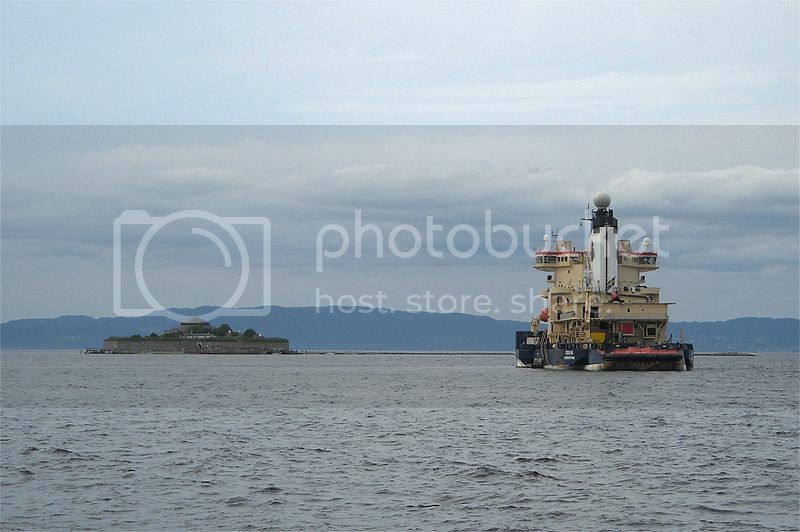 The new Munkholmen shuttle boat ? 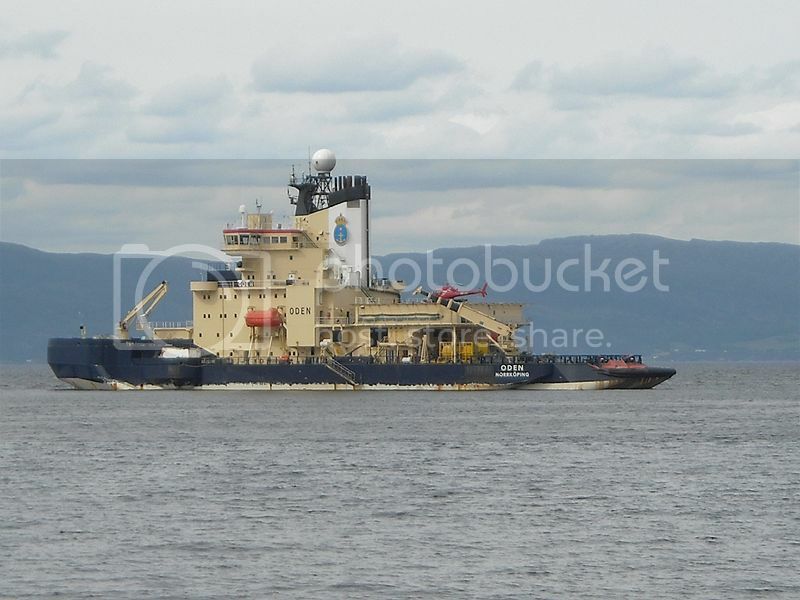 The Swedish icebreaker "Oden" has been at anchor a couple of days. Anyone know the purpose of the visit? The hull has a very special shape, with blisters on the sides. Are these original, or have been added later ? 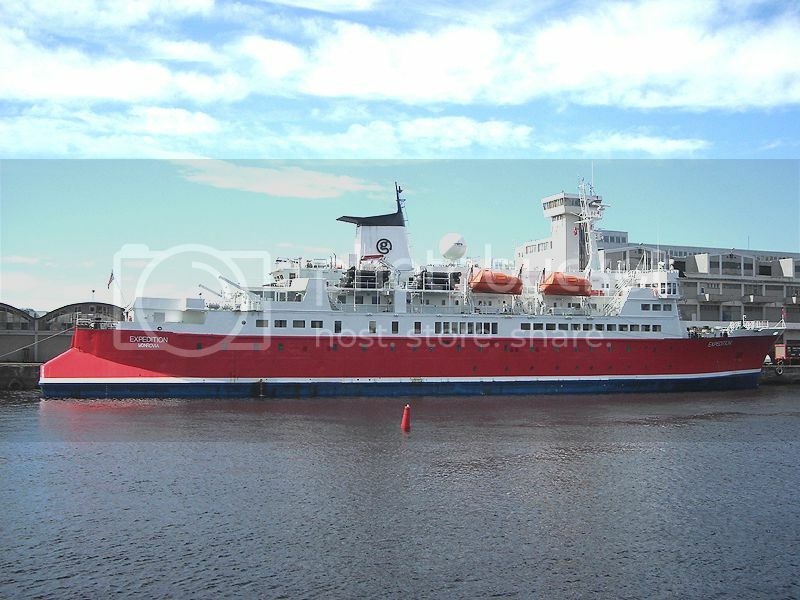 The "Oden" as seen in Trondheim is original from the yard in 1988. Last edited by Sterkoder; July 4th, 2010, 20:10. Oden is very deceiving. She does not look large enough to have a 40 TEU container capacity and two saunas. I can only imagine the sound of breaking 1.9 meter ice. Thanks, Sterkoder for the link. Looks like from the drawings that the hull shape is original. Strange how Munkholmen manage to sneak into many of my pictures.